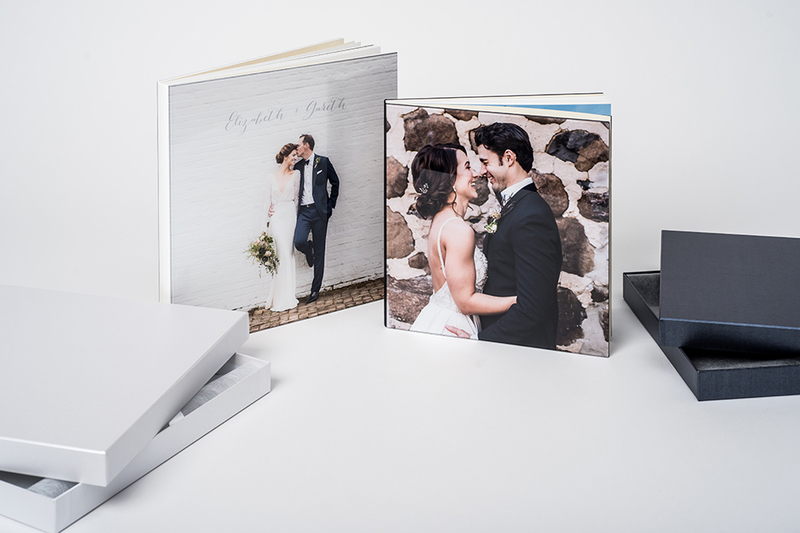 Sophistication, style, and affordability best describe the Crystal albums. 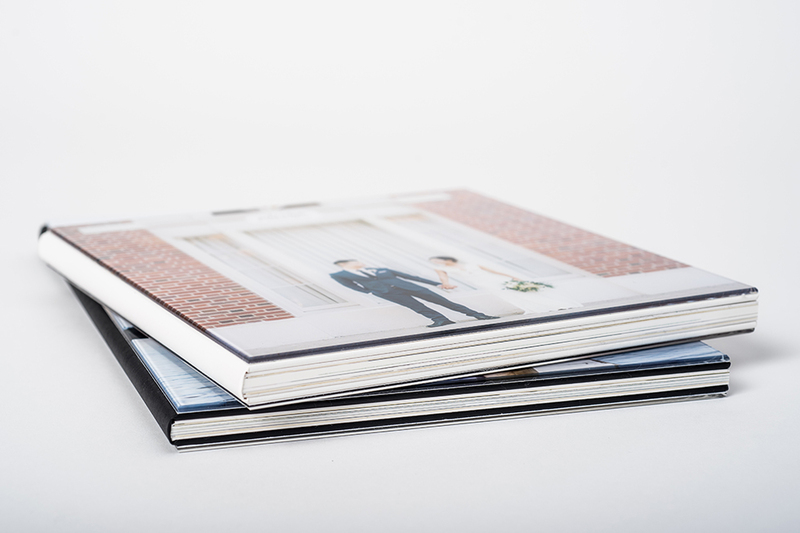 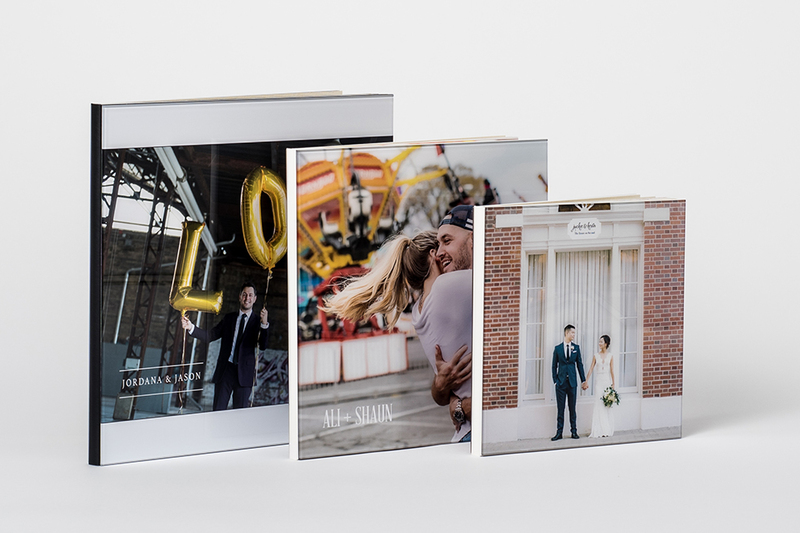 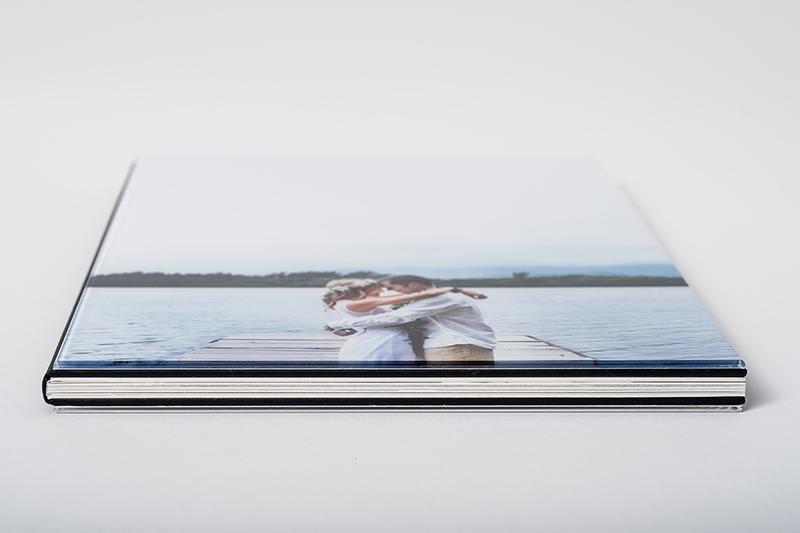 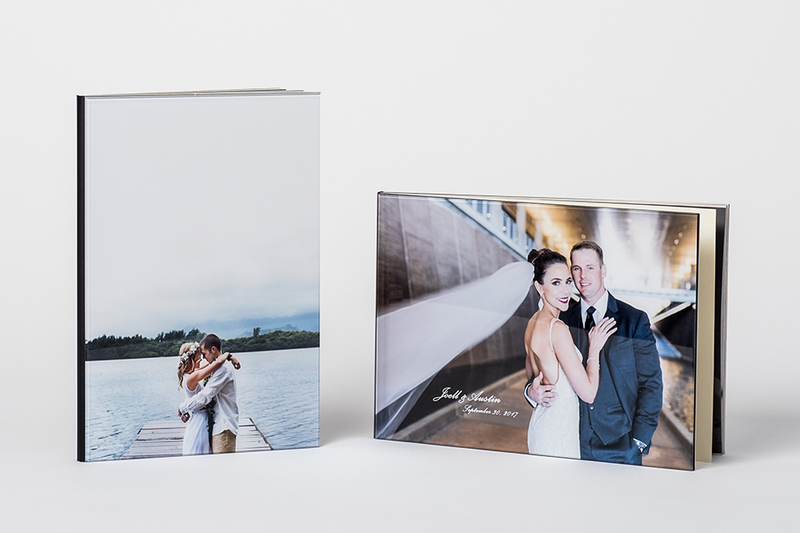 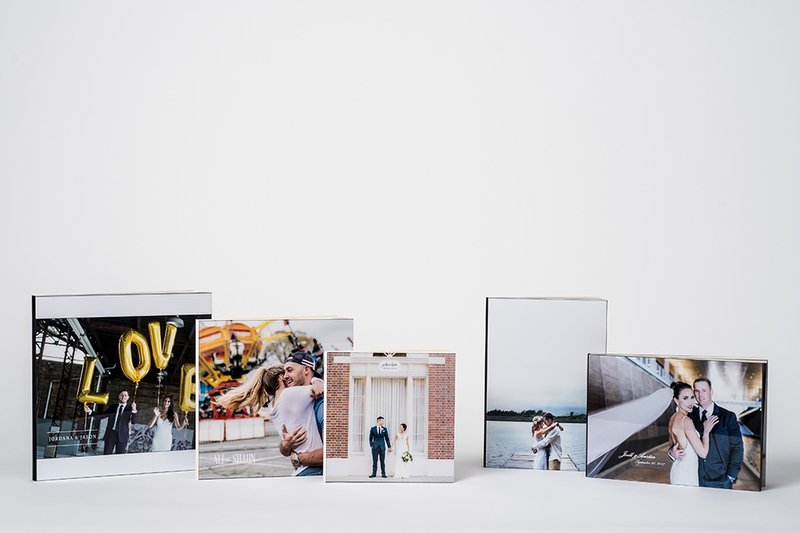 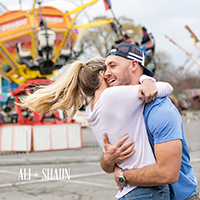 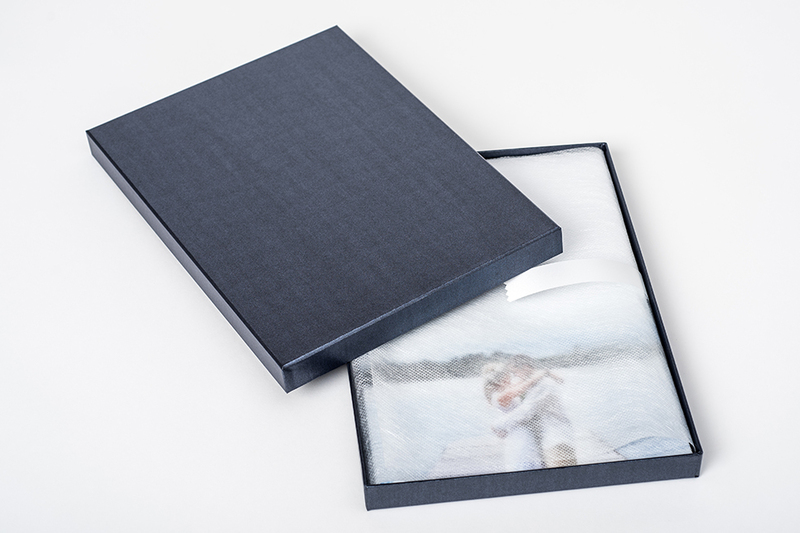 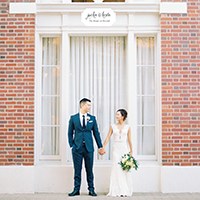 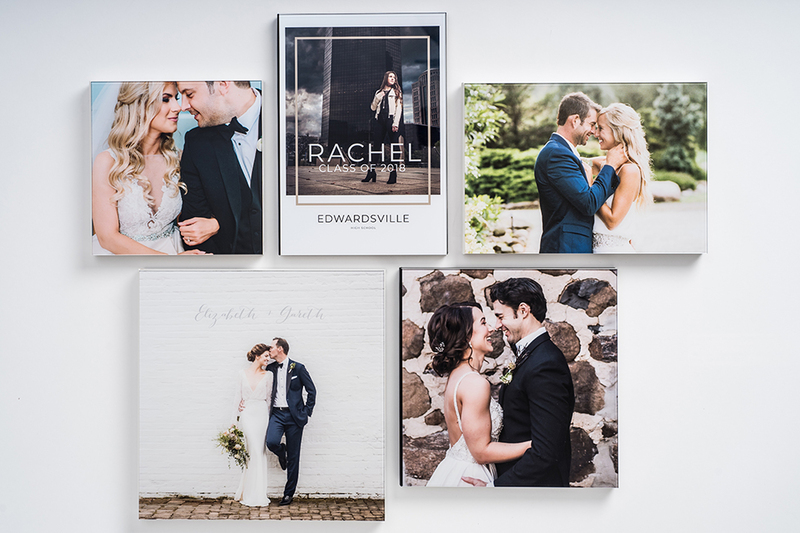 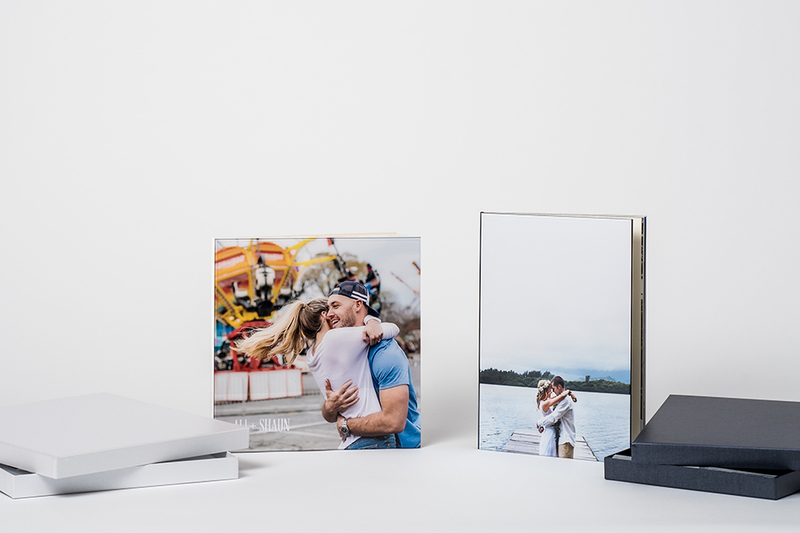 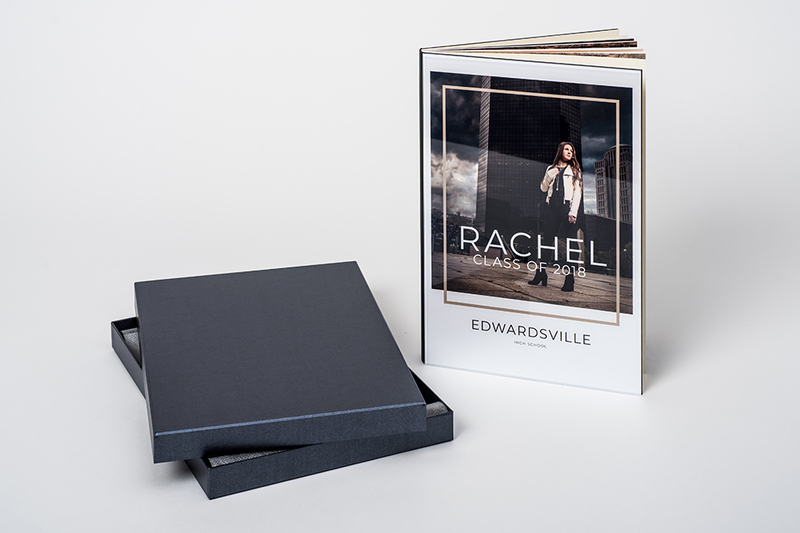 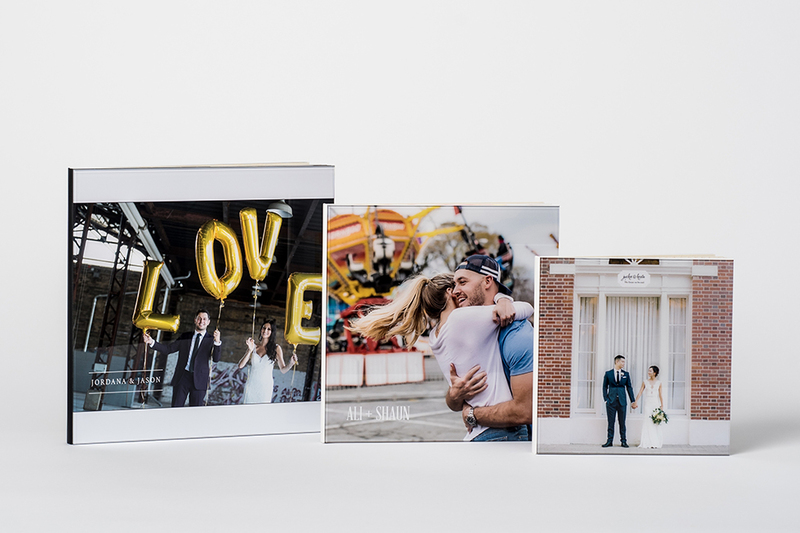 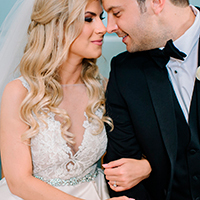 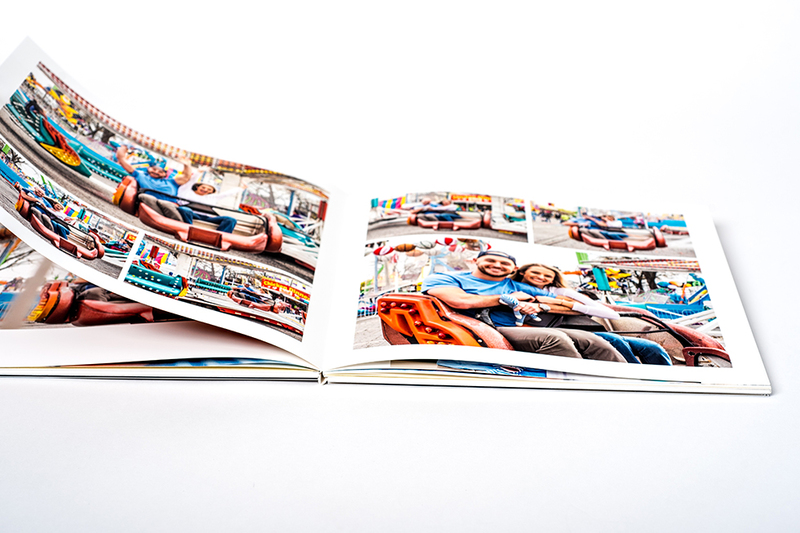 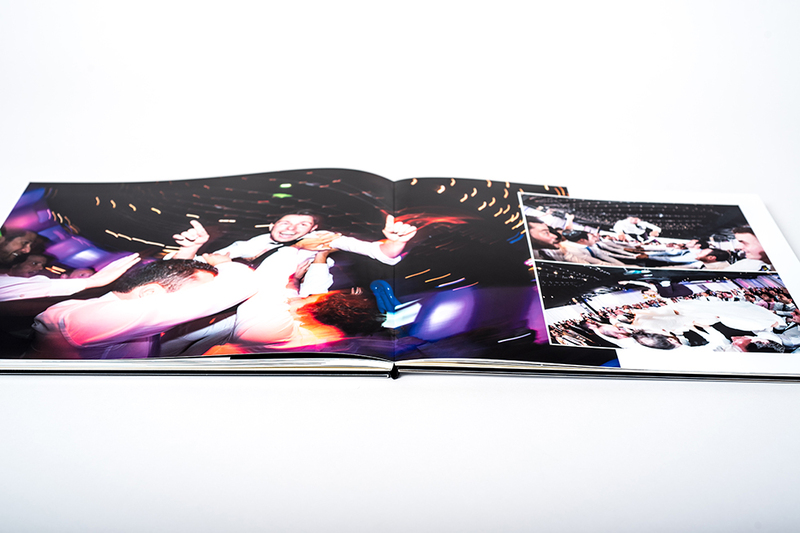 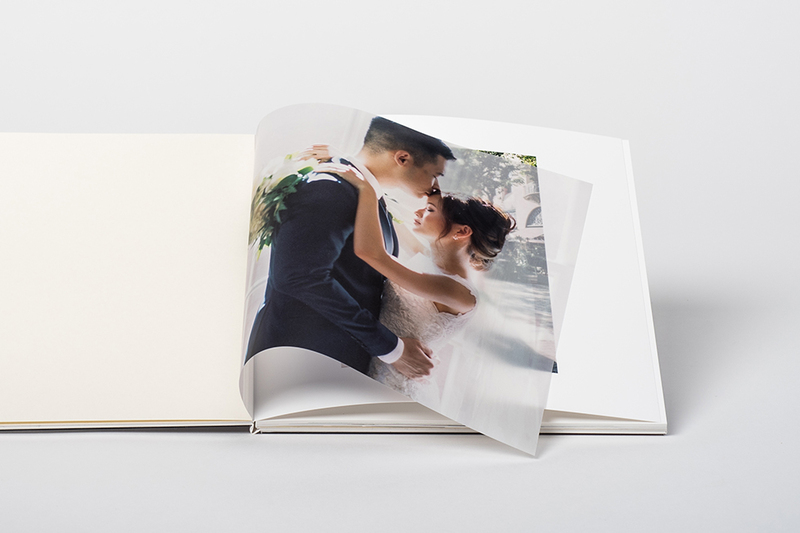 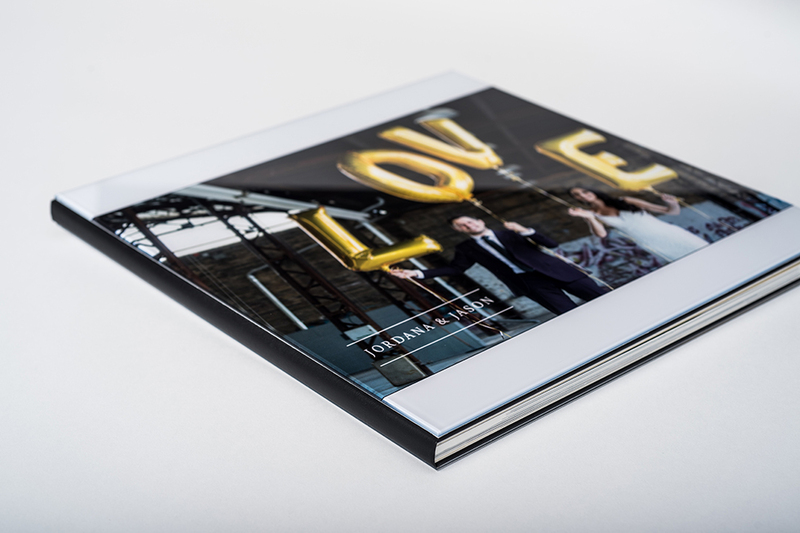 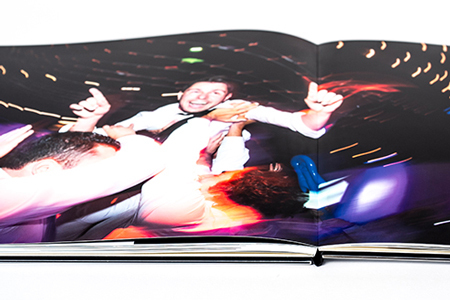 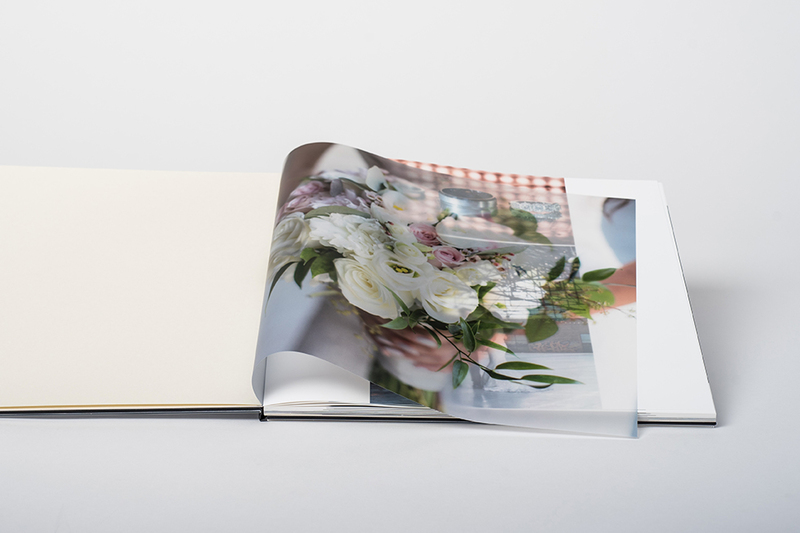 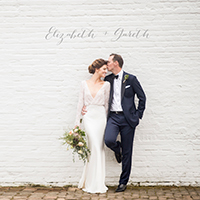 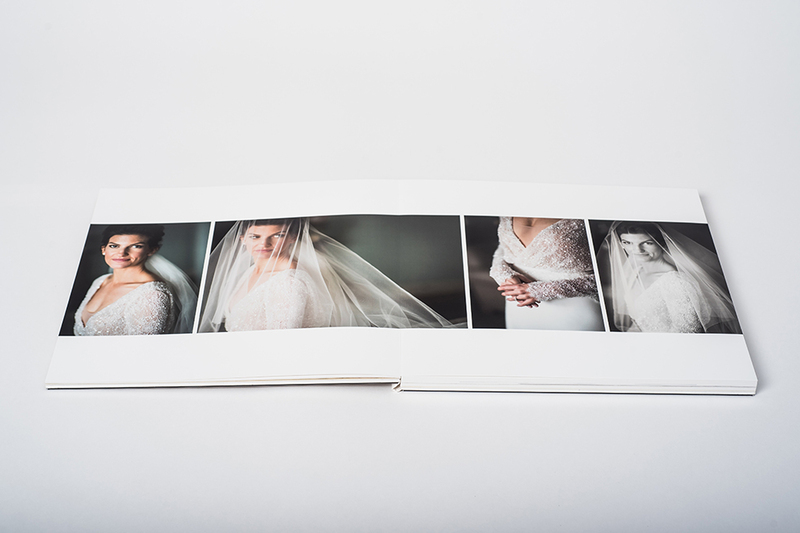 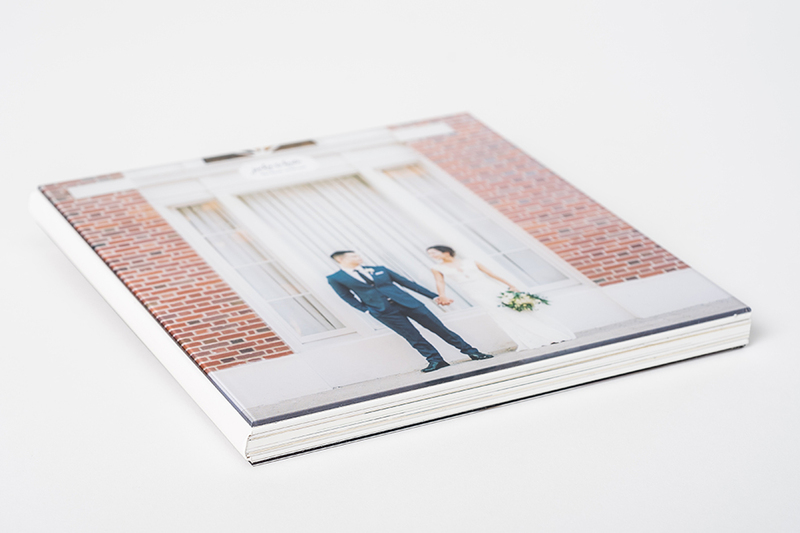 The Crystal albums have a designable hard cover with metallic sheen and acrylic overlay. They come with thin pages or medium weight board pages. 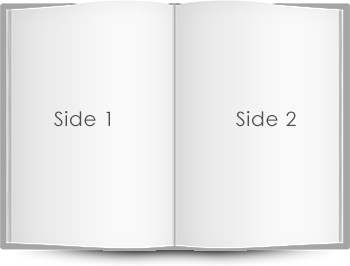 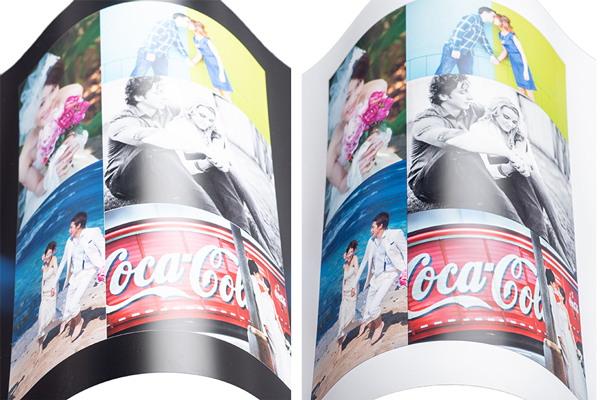 Both are made with a durable satin synthetic paper. 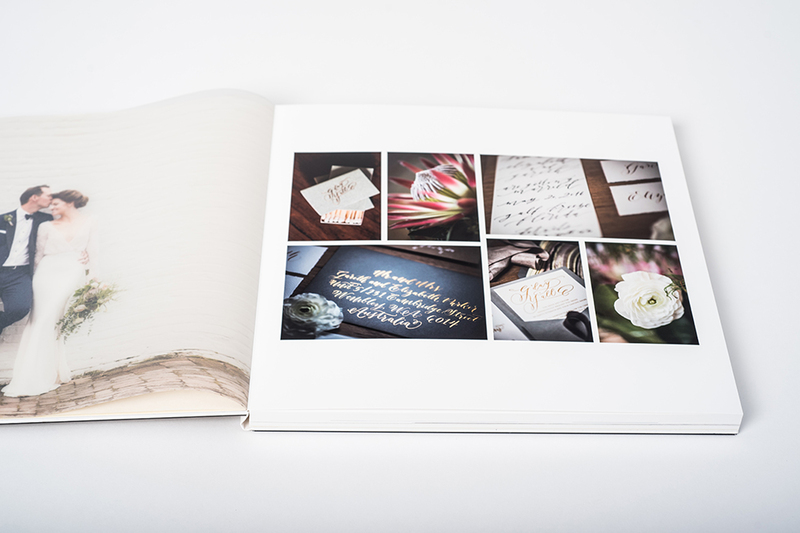 Another unique feature is a printable vellum intro page. 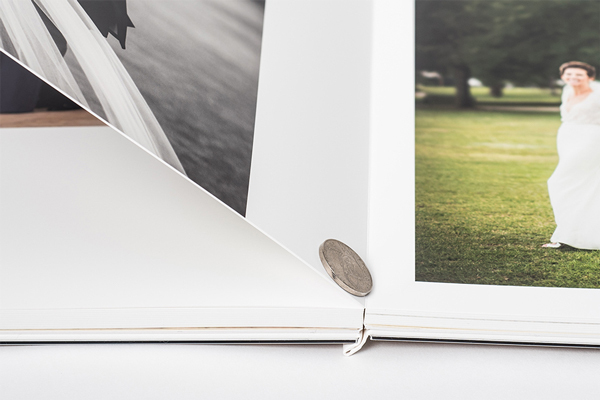 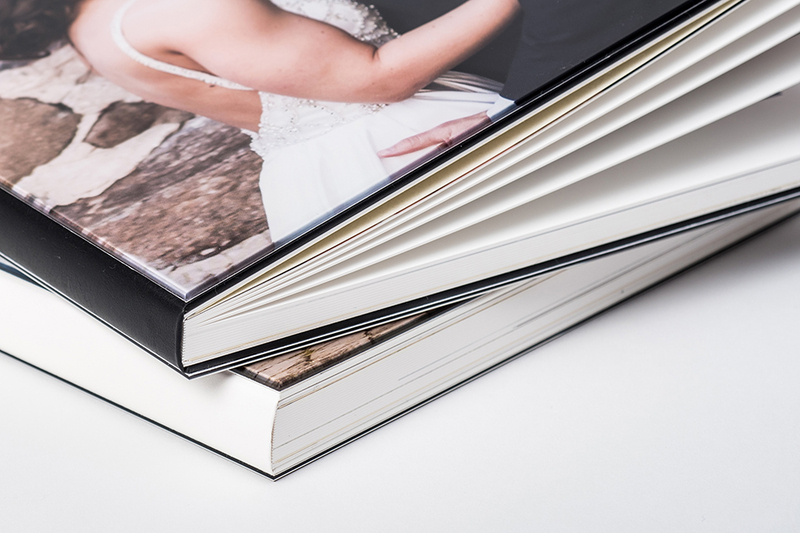 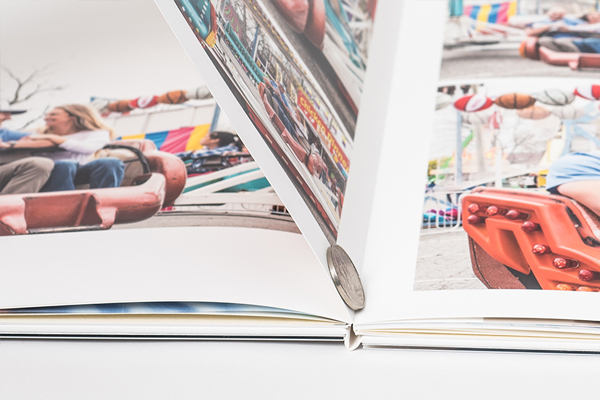 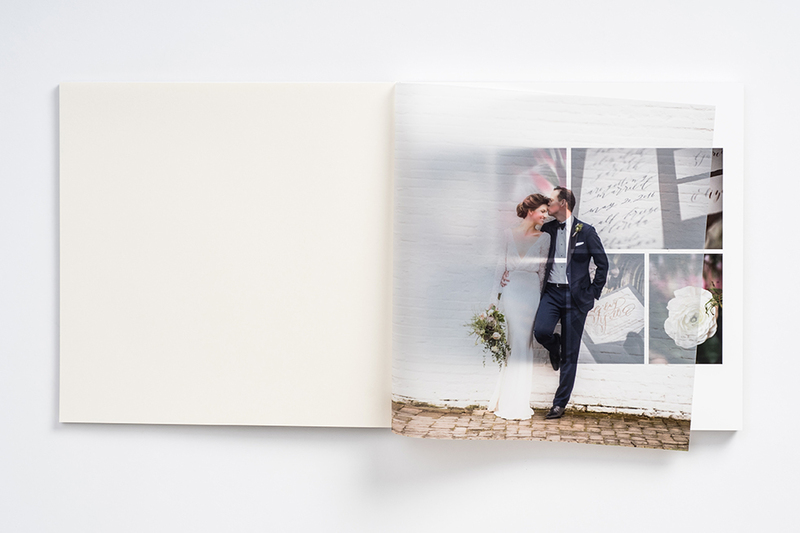 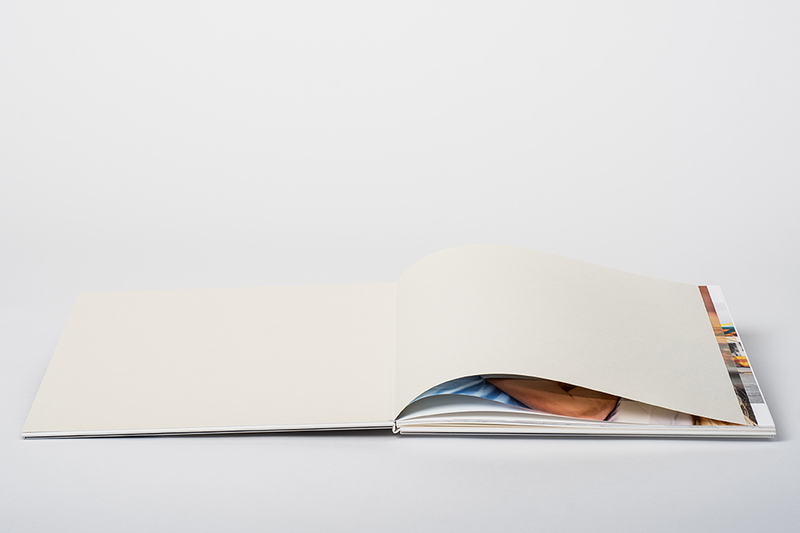 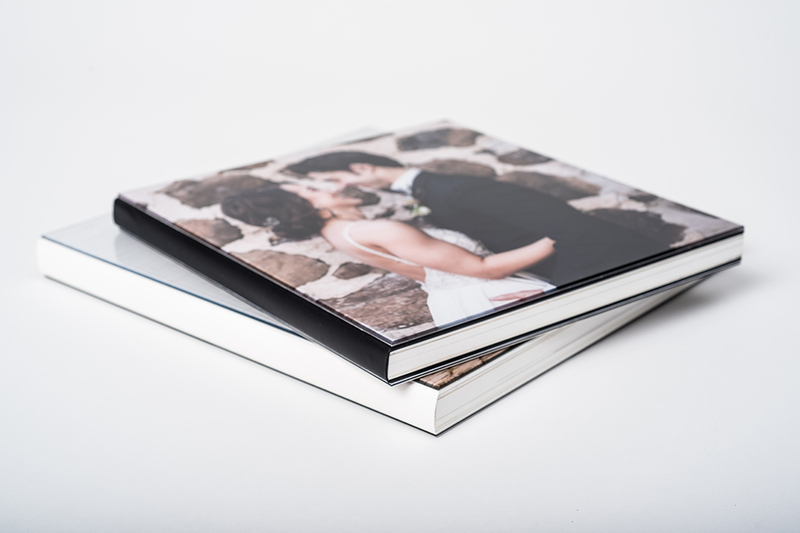 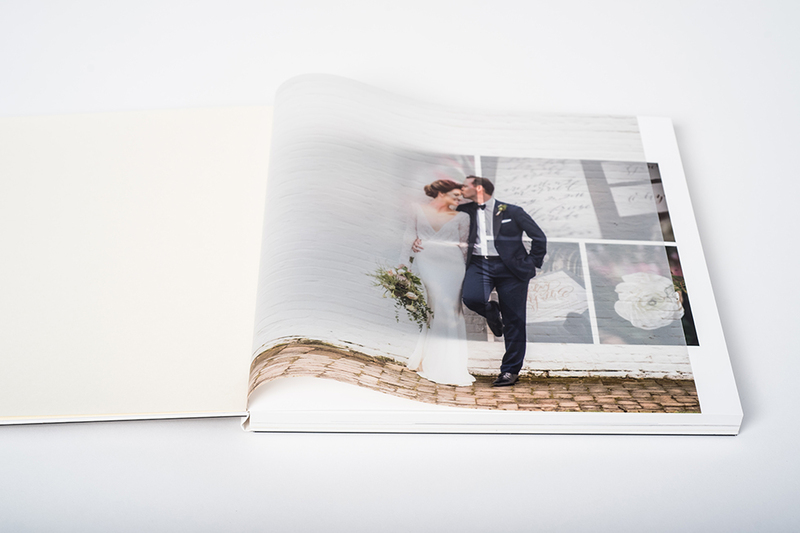 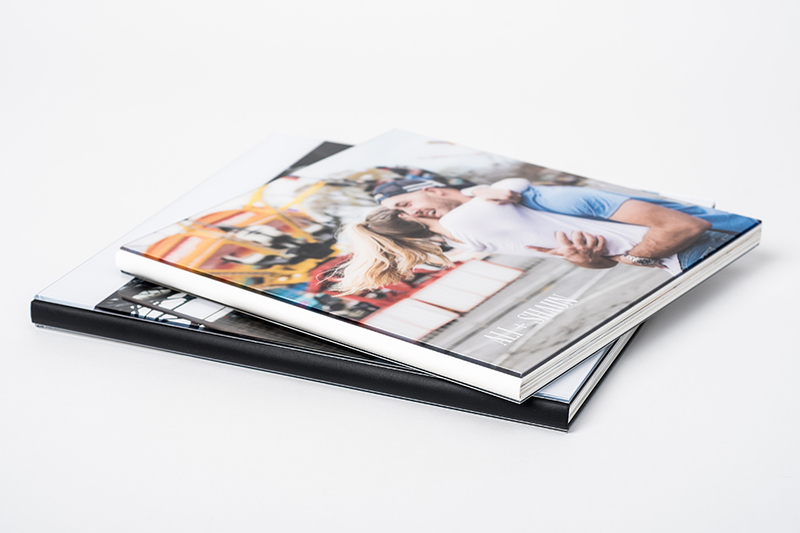 These details, combined with a seamless layflat binding, create an elegant presentation for client images. 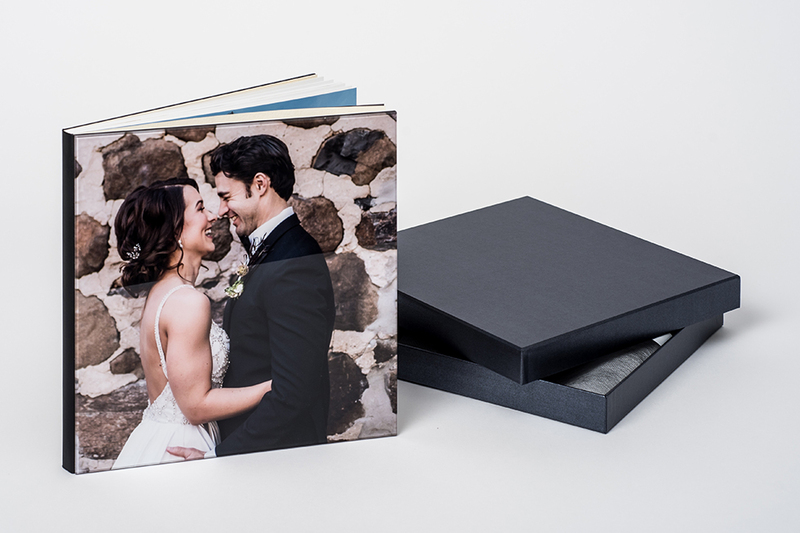 Choose between a black spine that is presented in a graphite pearl box, or a cream spine that comes in a white pearl box.